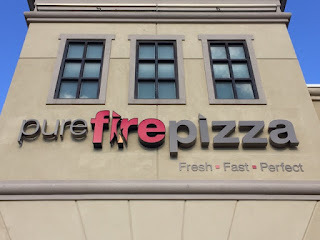 Pure Fire Pizza in Collegeville (99 Market St. #4, 484-961-8442) and West Chester (30 S. High St., 484-887-8713) offers gluten-free pizza prepared by staff using separate gloves, utensils, baking sheets and squeeze bottles for sauce. Haddonfield's newest restaurant is Leaf Eatery (6 Kings Ct., 856-528-5715). 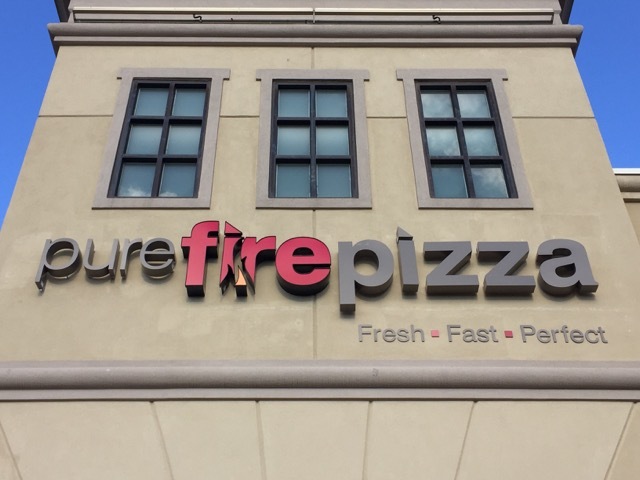 Most of the menu items at this vegan spot are listed as gluten free. 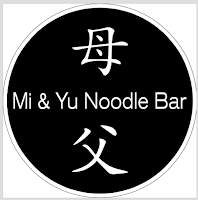 The forthcoming Bourse Food Hall in Old City Philadelphia (111 S. Independence Mall East) will feature Baltimore's Mi & Yu Noodle Bar. 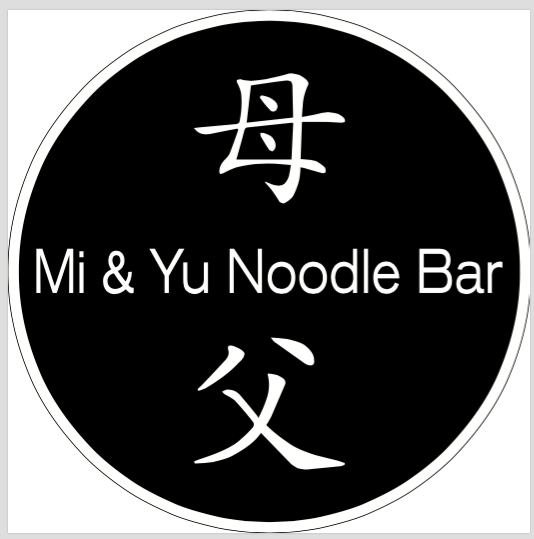 The Asian bistro serves pho with gluten-free rice noodles. Thanksgiving is one of my favorite holidays - a time to reconnect with family, take a break from the daily work routine, and eat heartily. In the years since our son was first diagnosed with Celiac Disease, we've found gluten-free replacements for everything from stuffing to gravy. During the holidays, our go-to gluten-free desserts come from The Maine Pie Co., which we discovered two years ago at the Expo East gourmet food show and have been on our Thanksgiving dessert table ever since. Situated in rural Maine, the bakery crafts its artisanal pies and tarts in a designated gluten-free facility. All desserts test to less than 5 ppm using the ELISA method. Founder Jill Miller has more than a decade of baking experience. She owned The Runcible Spoon in Nyack, New York and Port Bakery in Kennebunkport, Maine, where she perfected her baking skills and developed her award-winning gluten-free pie recipe. 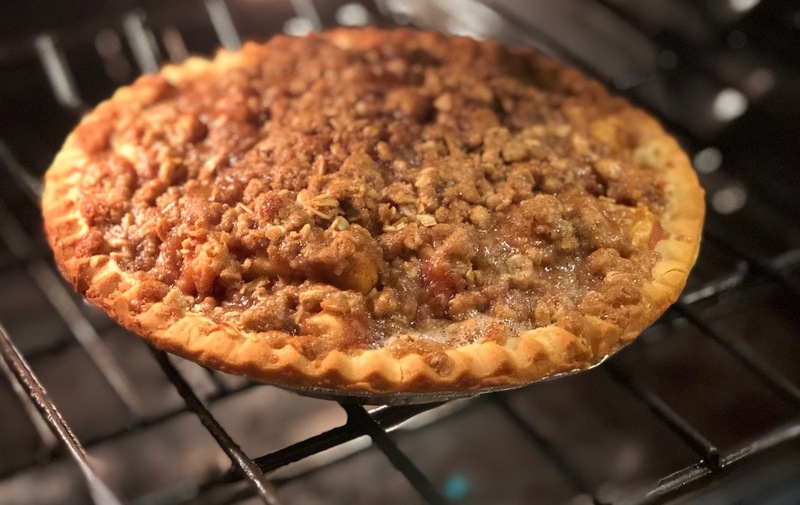 We recently savored The Maine Pie Co.'s delicious apple crumb pie, blending locally grown apples with a buttery crumb topping made with gluten-free rolled oats, brown sugar and cinnamon. Preparation was a snap, following directions on the package: I baked the pie at 425°F for 20 minutes, then for another 40 minutes at 350°F. (The other pie varieties have similar baking instructions.) The crumb topping turned a golden brown and the aroma of warm apples and cinnamon wafted through our kitchen. I particularly liked that the pie was chock full of sliced apples, with none of the cloyingly sweet pie "goop" that's found in many traditional versions. Among The Maine Pie Co.'s most popular pies are apple, blueberry and pumpkin. The apple pie combines cinnamon, nutmeg and clove with the flavor of fresh, locally sourced apples that are peeled, cut and made into pies the same day. For the blueberry pie, the company uses Maine wild blueberries, while the pumpkin is packed with fresh pumpkin puree and seasonal spices. Other varieties include Pecan, Threeberry (made with strawberries, blueberries and raspberries), Strawberry Rhubarb (summer seasonal) and new Sour Cherry pies and Lemon Curd (think TastyKake Lemon Pie!) and Chocolate Tarts. 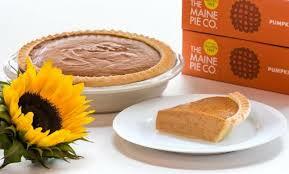 Maine Pie Co. also has pie shells for do-it-yourself bakers. 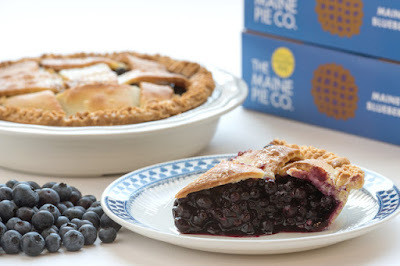 The Maine Pie Co.'s pies can be shipped nationwide when ordered online through Gluten Free Mall (order by Nov. 13 for guaranteed holiday delivery) and are also available at stores throughout New England and the Mid-Atlantic and Midwest U.S. [store locator].